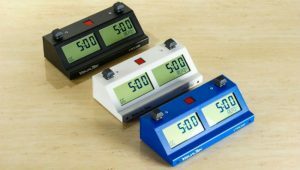 All you ever wanted to know about the WWCC, but were too afraid to ask! 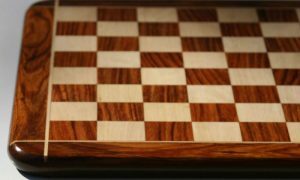 The Women’s World Chess Championship, or the WWCC for short, is an annual chess tournament administered by FIDE which is played to determine the women’s world champion in chess. It is a unique competition because, with most competitive events, tournaments are either completely mixed gender or completely separate genders. 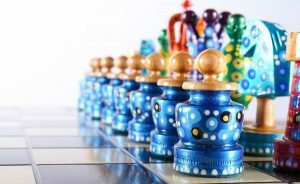 When it comes to chess, women are allowed to compete in the “open” tournament, The World Chess Championship, but they also have a separate tournament reserved only for female competitors, which is the Women’s World Chess Championship. 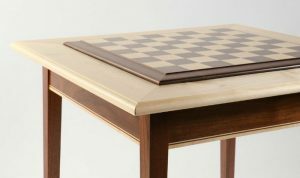 The competition began in 1927, when it was held around the same time as the Chess Olympiad was taking place. 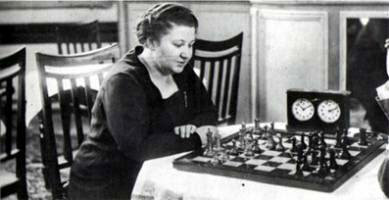 Vera Menchik was the winner of this inaugural tournament, and she defended her title in 1930, 1931, 1933, 1935, and 1939, until her death in 1944 during a German air raid on Kent, where she lived. Menchik was truly an amazing player and she died still the champion, after having defended her title the hard way, winning just as many games as her competitors did and then beating them in the final match. The next tournament took place in 1949, after a break of several years due to general instability in the world during World War II. 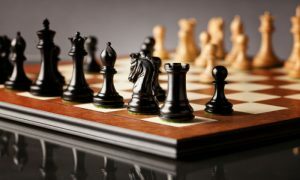 By this time, tournament organizers had adopted as system more like that used in the World Chess Championship, whereby Candidate’s Tournaments and Interzonal tournaments were used to determine which player had the right to compete against the reigning champion. This system was easier on champions than the previous one in which they had to rework their way all the way through each tournament level without making a single misstep in order to keep their title. For a long stretch from about 1950 to 1991, Soviet players dominated the WWCC, just as they had dominated the WCC. 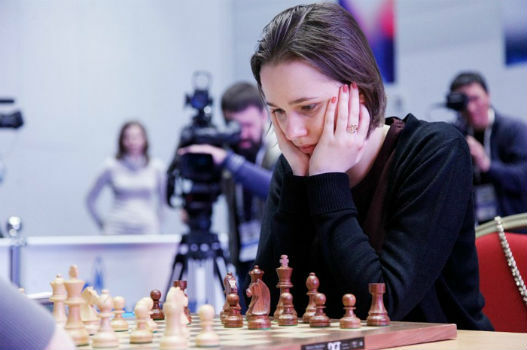 A string of brilliant players like Lyudmila Rudenko, Elisaveta Bykova, Olga Rubtsova, Kira Zvorykina, Nona Gaprindashvili, and 17 year old Maya Chiburdanidze all became champions during this time. Many of them were Georgian. 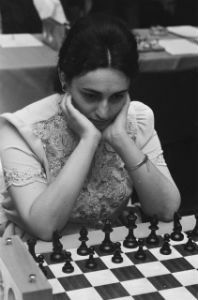 Chiburdanidze held the title for a good portion of her young life, defending it from various challengers until 1991, when she lost it to the young Chinese player Xie Jun in Manila. 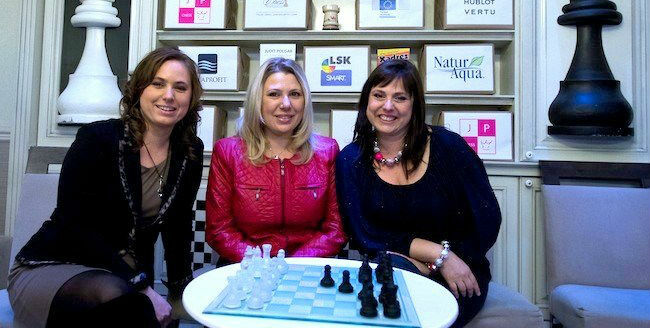 Around this time, the three Polgar sisters – Judit, Susan, and Sofia rose to prominence as child chess prodigies. Though they were expected to dominate the WWCC scene, the girls preferred to compete mainly in the open tournaments. Judit Polgar in particular made it a point never to compete in women’s only chess tournaments, even though she is ranked as the strongest female chess player ever to touch a chess set, achieving a peak rating of 2735. In the 1997 tournament, there was a bit of drama when Russian player Alisa Galliamova and Chinese player Xie Jun finished in first and second place in the Candidate’s Tournament, but Galliamova refused to play the final match entirely in China. After a while, it was determined that if Galliamova would not play, then Xie Jun would win the match by default. By the time all this was sorted out, however, reigning champion Susan Polgar had given birth to her first child and therefore requested that the match be postponed. 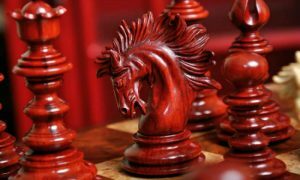 But it seemed that the chess clock couldn’t be stopped for anyone- FIDE denied this request and eventually decided to hold the championship match between Galliamova and Xie Jun, entirely stripping Polgar of the title that she had earned. With treatment like that, it’s no wonder that the rest of the Polgar girls decided to keep their distance from women’s tournaments! In 2008, the title went to Alexandra Kosteniuk, a Russian grandmaster who defeated the Chinese chess prodigy Hou Yifan, who was then only 14 years old. 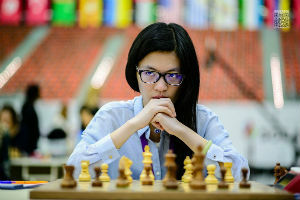 Two years later, Hou Yifan would win the title and become the youngest person ever to do so at the ripe old age of 16. The WWCC now follows a complex tournament system. 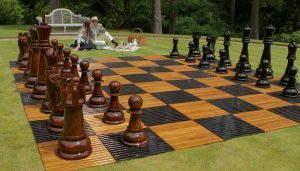 The competition is held annually, but in even numbered years, they follow a 64-player knockout system, and in odd numbered years, there is a classical match between two players where the reigning champion defends her title against a challenger. It is not completely clear why this is done, but it’s possible that it takes more time than a single year to seed appropriate candidates through the Interzonal and Candidate’s Tournaments and rather than putting off the Championship for another year, the organizers choose to have a knockout tournament instead. That’s one explanation, anyway. Hou Yifan kept her title as champion from the time that she first won it in 2010 until 2015, when she voluntarily declined to defend it. That year, the title was won by Mariya Muzychuk, but in 2016, Hou Yifan came back to reclaim it with ease. If she keeps her interest in the game of chess alive, we predict that Hou Yifan will continue to hold the WWCC title for many more years to come. Even at such a young age, she is a difficult player to beat, and she has already earned herself a peak rating of 2686. At this rate, she may even be on track to overtake Judit Polgar as the strongest female chess player in history. She is already considered to be the best active female chess player, and is only the 3rd female player to be included in a Top 100 list of chess players, after Polgar and Chiburdanidze. The WWCC is likely to continue in much the same way it has since 2010, though no one would be surprised if it decided to change up its tournament rules again. Many would welcome the change. It will continue to be a popular event as long as women keep competing in it. In 2017, it is enjoying a bit of extra attention due to the dominance of Hou Yifan, who is widely considered to be a young player worth watching. Which is exactly what we plan to do!